Gardens traditionally have a decorative function. You fill your yard with colourful flowers, accentuate them with ornamental grasses and place other embellishments like statues or bird baths. If your garden only serves aesthetic purposes, though, why not make it more useful? Many households have since converted their manicured lawns and gardens into versatile and sustainable spaces that are also aesthetically pleasing. These gardens help save water and other natural resources, enable homeowners to grow organic produce and help make natural fertilisers readily available. Sustainable gardens also attract bugs and birds that are beneficial to flora. If you plan to push through with this home improvement, you will no doubt find water tanks and certain accessories rather instrumental in the creation and preservation of an eco-friendly garden. If you plan to build an urban farm or a veggie garden at your home in Perth, you need to be consistent when it comes to watering the crops and nourishing them with the elements they need. With a water tank that harvests rain or stormwater runoff, you can keep your garden well irrigated without increasing your consumption of your mains water supply. You will also need to treat rainwater by filtering debris and other hard elements that the crops won’t need. To this end, you can use UV treatment systems that purify rainwater without any need for harsh chemicals like chlorine. Such a gentler method also allows you to improve water quality by adding the nutrients that your plants require. Connect the tank to an irrigation system and set it up such that it efficiently waters your crops with minimal effort. Even easy-care plants like day lilies, flaxes and hydrangeas require adequate watering at regular intervals. 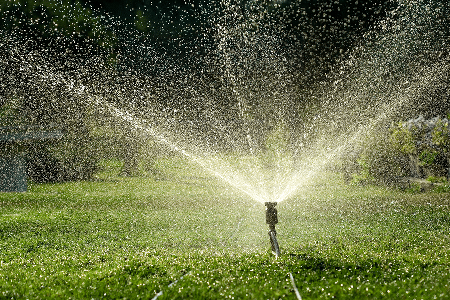 Instead of using your mains water, link your sprinklers to your tanks or use a hose with a sprayer nozzle to dispense the treated rainwater. Before you add decorative fountains, garden ponds and other water features to your garden, keep in mind that sole reliance on your mains supply can be expensive. A more sensible way to maintain your new garden is to collect and recycle rainwater through corrugated iron tanks instead. A reputable manufacturer that provides comprehensive services, such as Rainfill Tanks and Curved Roofing Supplies, can help you choose the tanks and treatment systems that would best suit your plans.